Over the last 2 weeks we’ve been blogging about the importance of creativity (see So What Exactly is Creativity? And Can Creativity Be Learned?) But you may be wondering – how do you inject this into your own lives? We’re all busy people (in an increasingly busy world!) juggling jobs, children, households, relationships, hobbies…the list can seem endless! So we thought we’d give you our own suggestions of things we do here at JumpStart – with our families, in our spare time and in our work. 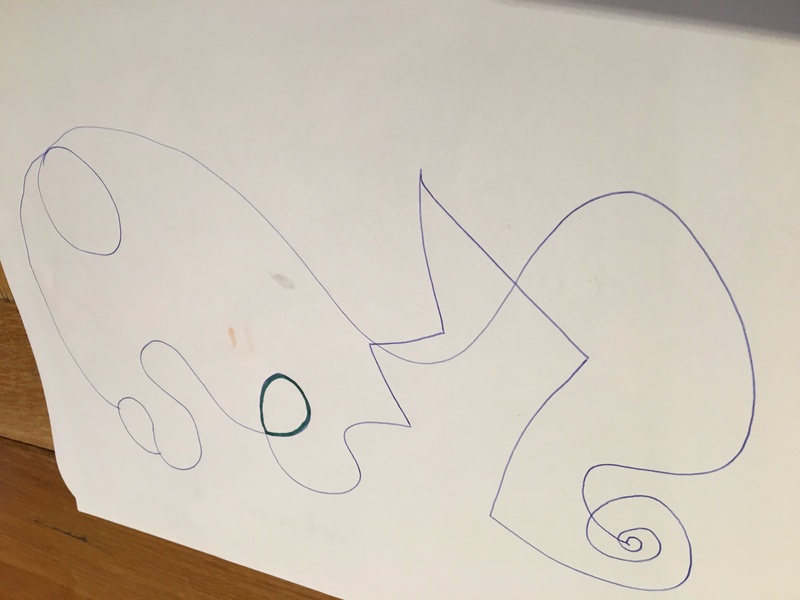 We’ve entitled this first blog ‘Lines and Squiggles’ as both activities feature them as a starting point for creative thinking. Each suggestion below is very short, requires only a few household items and most importantly is FUN! We hope you enjoy them and look forward to hearing how you get on! Activity 1: What’s hiding in the band? I was making dinner the other night (Spaghetti Bolognaise I think) and the kids were getting restless and hungry. Not a good combination in our household! Especially for my eldest Maisie who is prone to ‘hangry-ness’. Whilst they were waiting for their food, Maisie disappeared and then came back a few minutes later playing with an exercise stretch band. She was holding it down by standing on one edge and then trying to stretch it over her head (which was quite tricky as it’s a very resistant band). This looked fun in itself as a movement challenge – what shapes did she need to get her body into to fit herself inside the band? And it was good exercise too – her muscles had to work hard to move the band around. 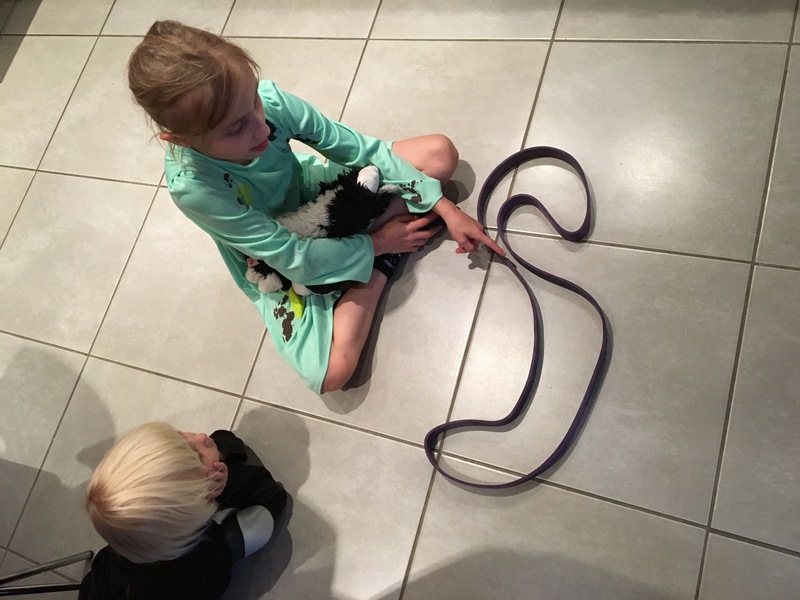 After a while she noticed that when the band fell on the floor it made lots of different shapes. We discussed and observed the band and started to see different images emerging from it. They played the game for AGES and were so preoccupied that they completely forgot how hungry they were. We had some lovely conversations and lots of fun and I could carry on cooking knowing I had two content children engaged in a very simple creative activity. Result all round! Say what you see – do you agree / disagree with the rest of the group? How many different ‘things’ can you see in the shape? Throw the band again – repeat as many times as you like! The activity is great fun, simple and really gets their imaginations firing. It reminds me of the game where you stare at the clouds to see what shapes / images you can find. Which is another great game to play! It’s great to have an activity which is not premeditated. When beginning a drawing it can be tempting to think about the end product immediately. This can be quite off-putting, especially if you have a perfect image in your mind that you want to achieve, as your own high-standards can stop you from even starting a piece of art! So with this activity, the idea is to just let your pen move around the piece of paper freely, without pre-planning a particular shape or outcome. When you feel you are finished, the shapes and patterns you have created can be coloured in any way you fancy. Oscar has a stamp pen, so I borrowed it to create the little green swirls, which looked really effective. And some of the blocks I chose to colour in completely, whilst in others I created patterns. It was a perfect pre-bedtime activity as it was very calming and we were all happy to sit and scribble away in almost complete silence. Which is a small miracle because our household is normally a cacophony of noise (neither of my children have learnt how to use their ‘indoor voice’ yet)! And we really enjoyed using our creative skills to complete the designs. Place your pen somewhere on the piece of paper and let it move wherever you like. Try out a range of patterns such as lines, squiggles and zig zags. Keep the pen on the paper and make sure the lines cross over a few times so you create segments. 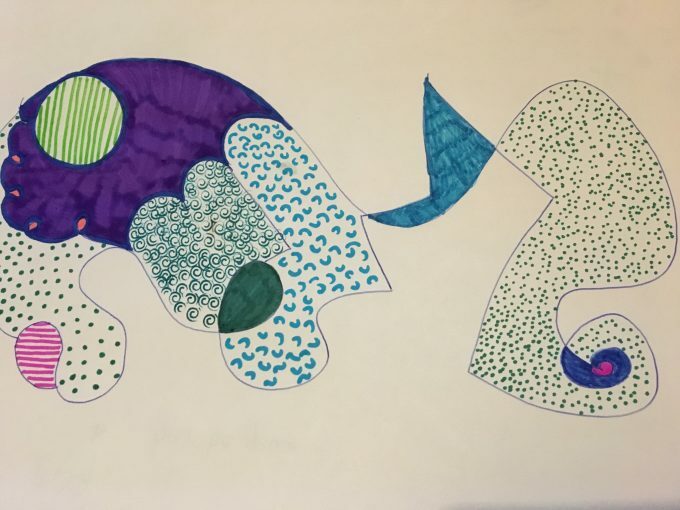 Once you have completed your doodle drawing, colour in each of the sections in different colours or patterns – try out different ideas to create some contrasts in the picture. Stop when you think your drawing is complete! We’d love to know how you get on with these activities – what have you enjoyed? Share copies of your doodle drawings below. And please give your own suggestions for creative ideas involving lines and patters – we’d love to hear from you! 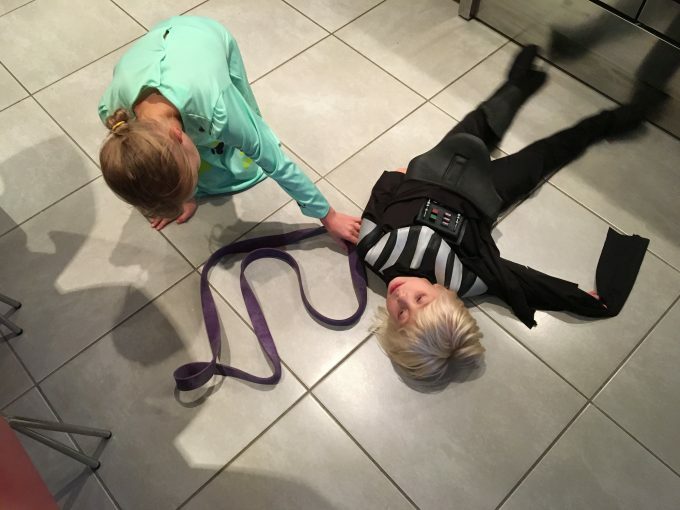 previous post: And can creativity be learned? next post: Bring Back Boredom!